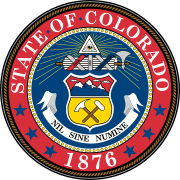 The 1998 Colorado gubernatorial election was held on November 3, 1998 to select the governor of the state of Colorado. Roy Romer, the Democratic incumbent was term limited and could not run again. The Republican nominee, Colorado Treasurer Bill Owens, narrowly defeated the Democratic nominee, Colorado Lieutenant Governor Gail Schoettler, to flip the seat to the Republicans for the first time in 24 years.